Have you heard about Moringa? It recently surface up in the health market and I was curious about it, I've heard many benefits of it but having that said, I always prefer to try things out myself. Moringa is believed to have many benefits and its uses range from health and beauty, it contains a variety of proteins, vitamins, and minerals that promote energy while boosting the immune system. ManfortLab is set up by a group of Malaysian scientists with products backed by years of research done, they are approved by the National Pharmaceutical Regulatory Agency (NPRA) of Malaysia and their products are manufactured to the highest quality standard in hygienic conditions at GMP (Good Manufacturing Practices) facilities. 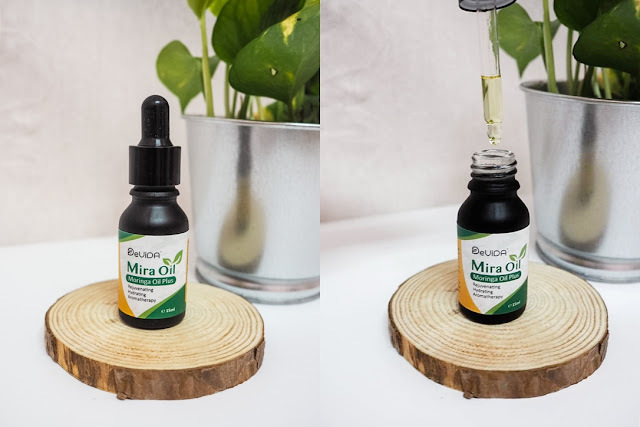 With such a reputation, I felt safe when I was given a chance to tried out their products, here are two products I've tested - DeViDA® Moringa Oliefera Extract 200mg and DeViDA® Mira Oil. Moringa is a tree that is native to India and is cultivated throughout the tropics. It can be found in sub-tropical regions of Asia, Africa, and Latin America. 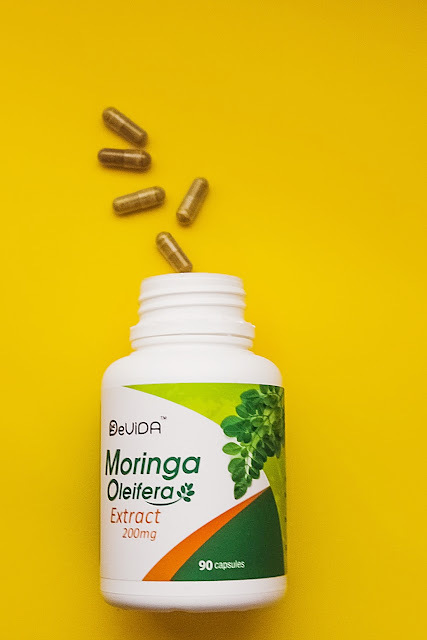 Moringa has an excellent source of protein, vitamin A, potassium, calcium and vitamin C which is why it's known as the "miracle tree", it’s such a valuable resource in many regions that the Food and Agriculture Organization of the United Nations has named it the crop of the month. A potent formulation that contains standardized* pure Moringa Oleifera extract. Each capsule contains 200mg of standardized extract. It is standardized to contain Chlorogenic acid (≥0.3%). Its helps to reduce the appearance of stretch marks. It restores the natural glow to the skin when used regularly. It protects the skin from damaging free radicals that lead to the formation of wrinkles. I've tried both products for more than a month now and I am happy with the results. 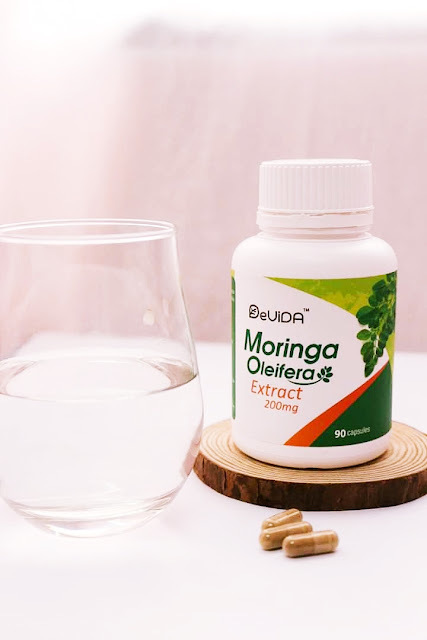 Including DeViDA® Moringa Oliefera Extract in my diet daily has really helped boost my immune system, curb my appetite and reduce menstrual cramp. 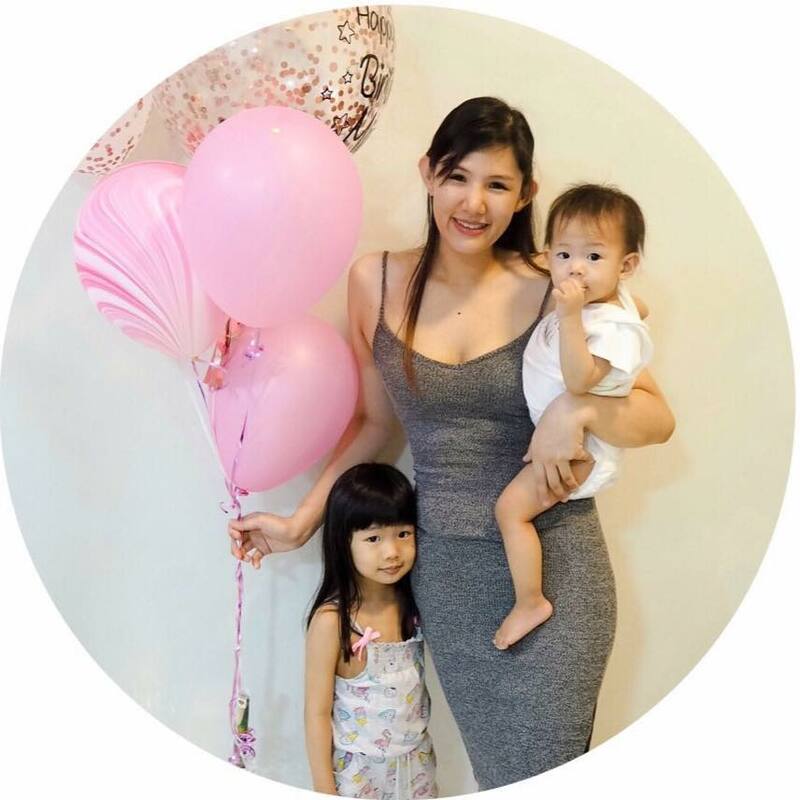 At the moment, I've lost 2kgs and when my period came this month, I did not suffer any pain which is something really unusual for me.